The newly created Medienpreis Games will be presented immediately after the Opening Gala. The award sees itself as an instrument wanting to support German-language games journalism and recognise outstanding articles about computer games. Journalists will be encouraged to continue writing sophisticated, investigative, impressive, amusing, serious and entertaining articles about games, produce videos and publish audio formats. The Medienpreis Games has been devised as a collaboration between Booster Space, the journalist Matthias Huber (Süddeutsche Zeitung) and students of the University of Potsdam. Europe's oldest game developers conference QUO VADIS is the central event for the professionals. Top notch international speakers are again being lined up over two days at the STATION Berlin, including Dan Hay, Executive Producer and Creative Director at Ubisoft Montreal/Canada and involved in several Far Cry and Marvel titles such as X-Men Legends, F.L.I.P., Entertainment co-founder and Managing Director Simon Usiskin (Amsterdam/The Netherlands), 3D graphic artist Florian Busse from GIANTS Software (Germany/Switzerland), Dying Light producer Tymon Smektala (Techland/Poland) and many more. Last year QUO VADIS saw around 3,000 professional delegates attending. QUO VADIS is organised by CMG Conference, the event division of Computec Media Group and funded by Medienboard Berlin-Brandenburg. Womenize! is the action programme of #gamesweekberlin for women in the games and tech sector for career building, empowering and training of women in the digital industry. 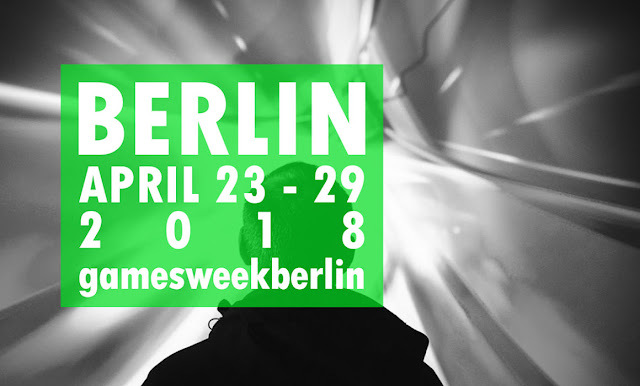 Initiated in 2015 by Ruth Lemmen and Michael Liebe for #gamesweekberlin, the programme was extended this year to last for two days with more speakers, lectures, panels and workshops. They include the Turkish mobile games producer Simay Dinc (founder of Women in Games Turkey), Sophia Ciocca (Associate Software Engineer New York Times, USA), Marie-Laurence Amigues (CEO and founder of Altagram, Germany), Melanie Mohr (CEO and founder of YEAY, Germany). Womenize! is also open as a networking and communication platform to interested people of any gender. Womenize! is organised by Booster Space and funded by Medienboard Berlin-Brandenburg. Over three days, the Unreal Fest Europe will give an insight into the latest trends in game development using the Unreal Engine of Epic Games. Engineers, programmers, developers and creators will be there to share their knowledge and experiences. At the same time, the event offers a unique opportunity to engage in an exchange of ideas with hundreds of other Unreal users and consequently broaden one's own knowledge. CEO and founder of Epic Games Tim Sweeney will attend in person to give the opening keynote speech. Other speakers are Matt Stoneham (Ninja Theory), Andy Bastable (Rare), Mike Gable (Epic Games) and many more. The games industry has been serving as a technology and innovation motor to drive developments in the IT sector for many years. The 2018 APITS Day of the „creative Applied Interactive Technologies (cAPITSs)“ application centre enables companies to gather information about the potential for the application of technologies from the consumer electronics and games sectors in other contexts. Following its successful launch in 2017, this year's edition of the APITs Day will once more be offering opportunities to obtain information and network across cluster boundaries. The Matchmaking Dinner of games:net berlinbrandenburg is the 'by invitation only' communication and networking platform for VIPs from the games industry, the world of politics, and investors. Funded by Medienboard Berlin-Brandenburg. The International Game and Playful Media Festival A MAZE. / Berlin is the annual highlight for international independent game developers and creators from the digital sphere as well as for numerous gamers. A high point during the festival are the A MAZE. Awards which will be presented on 27 April in six categories (Most Amazing Game Award, Human Human Machine Award, Long Feature Award, Digital Moment Award, Collider Award, Audience Award). In addition the industry gathers for talks and workshops on three days, among the speakers are Adriaan de Jongh (The Netherlands), Bahiyya Khan (South Africa), Jack King-Spooner (UK), Hannah Nicklin (UK), Leena Kejriwal(India), Limpho Moeti (South Africa), Meg Jayanth (UK), Robert Yang (USA), Sagan Yee (Canada), Sarah Northway (Canada), Colin Northway (Canada), Tim Rogers (USA). The event is funded by Medienboard Berlin-Brandenburg. The German Esports Summit is a trade conference about the growing importance of Esports in sports, media and politics. With its program the summit aims to challenge established definitions and structures and focuses on the current challenges of this young and dynamic sport. The German Esports Summit is organised by the ESBD, the German Esport Association in cooperation with Freaks 4U Gaming, organized by Booster Space and funded by Medienboard Berlin-Brandenburg. On the occasion of its 10th anniversary A MAZE. / Berlin offers a unique games and playful media exhibition for those interested in games and art. A selection of more than 80 independent and alternative games and VR installations will be presented as well as many music performances - every evening from 8pm as well as Saturdays and Sundays from 12pm for families. The music programme includes: Belly Button (FR), Infecticide (FR), Lizzy (GER), Mr Manic (USA), Chipzel (IR), Tout est Beau (FR), Der Warst (GER), Batlord (GER). The event is funded by Medienboard Berlin-Brandenburg. The Seitenquiz is all about gaming knowledge. The participants in the #gamesweekberlin special event have a particular task. Three moderated rounds pose tricky questions about gaming – supported by images, sound and video. The Seitenquiz regards itself as being a small „sideswipe“ at the classic pub quiz. This year will again see the Gamefest providing pure gaming pleasure. New and innovative games can be found on two floors in an interactive exhibition with international blockbuster games, creative indie titles through to VR and board games. The Gamefest will be held in 2018 at the new #gamesweekberlin base in the Säälchen. Heroes of the games world will appear on the Gamefest stage within the exhibition, with the programme also featuring influencers, music acts, live gaming, Let’s Plays and more, accompanied by such special events as the Seitenquiz or the City Game (LARP) The Wall 2061. The Gamefest is being planned and realised in 2018 by Booster Space in coordination with the Computer Games Museum. The East and West have been separated by the Wall for 100 years and are growing further and further apart. The city is under the control of the so-called Combinat, a government that guarantees stability and the wall's continued existence. The Wall 2061 is a city-wide live-action roleplaying game (LARP) on 28 April where you enter a city that is still divided. As part of the resistance, you will move through the city and gather valuable information in bars, clubs, and offices or on the streets, and also speak with both law-abiding and resistant citizens in the city. The crowdfunding-financed game is open to beginners and experienced gamers alike. Only a few tickets are still available: https://wall2061.eventbrite.de.